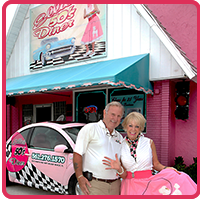 Our full-service, 50's-style diner serves breakfast, lunch, and dinner in a warm, retro diner atmosphere. Offering much more than great food and fond memories, we host special dinner events and live entertainment throughout the year. 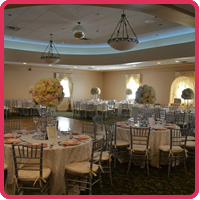 Impress your guests with amazing meals prepared and provided by our chefs at Ellie's Flamingo Ballroom. We feature two private rooms for on-site catering and can even deliver or prepare hot, fresh meals at your location. 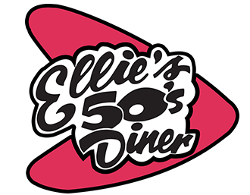 Experience a real blast from the past at Ellie's 50's Diner & Flamingo Ballroom Catering. Conveniently located on the Delray Beach and Boynton Beach border, we serve guests from Boca Raton, Deerfield Beach, Highland Beach, Lake Worth, Lantana, West Palm Beach, and all of Palm Beach County in South Florida. We offer family dining at its absolute finest! For more than a quarter of a century, owners Bob and Ellie have been serving hot, delicious meals, hosting special events, and just generally making their guests feel at home in the diner. We genuinely care about our customers and the community, which is why we often donate our services to local programs throughout the year. Monday–Thursday, Sunday, 8 a.m.–9 p.m.
Friday & Saturday, 8 a.m.–10 p.m.